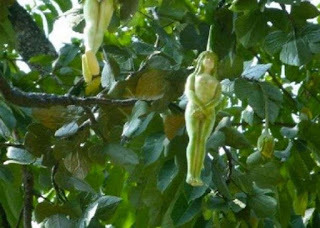 A strange tree which bears green fruits in the exact shape of a young woman has been spotted in Thailand. 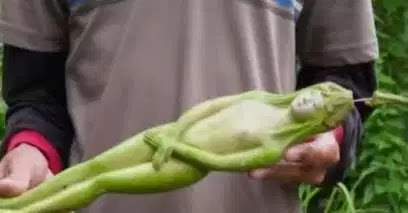 The Internet has gone crazy, while some believe its Nariphon from the Buddhist Mythology, others are amazed by it. 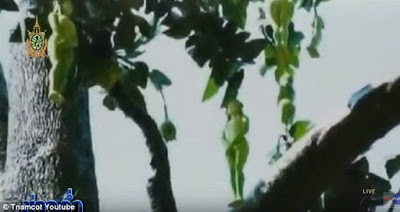 In Buddhist Mythology, a tree known as the Nariphon bears the fruit of young female creatures and is said to grow in the mythical forest called Himaphan. 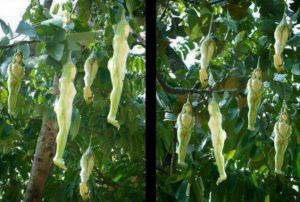 According to the myth, a Buddhist God, Indra created 12 special Nariphon trees which would bear fruit in his wife’s Vessantara image to terrify male creatures in the forest. Even after the death of the couple, the Nariphon tree continue to bear female likening fruits.